A long while ago I had the opportunity to meet YA author Melissa Lemon at a book signing in Orem, and again as a guest for the "Once Upon A Time" book club I'm in. 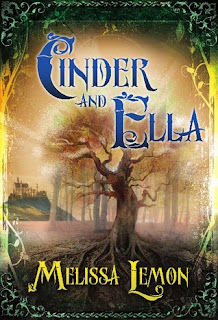 Cinder & Ella is Melissa's first published book through Cedar Fort. Her next book, Snow Whyte & the Queen of Mayhem, is due December 11th of this year. 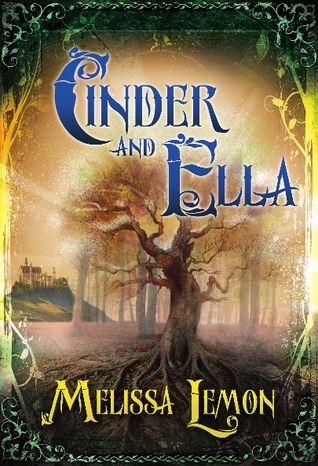 Click here for a preview of Cinder & Ella! Cinder & Ella is a good, light read with a poignant spiritual theme. Also, trees. 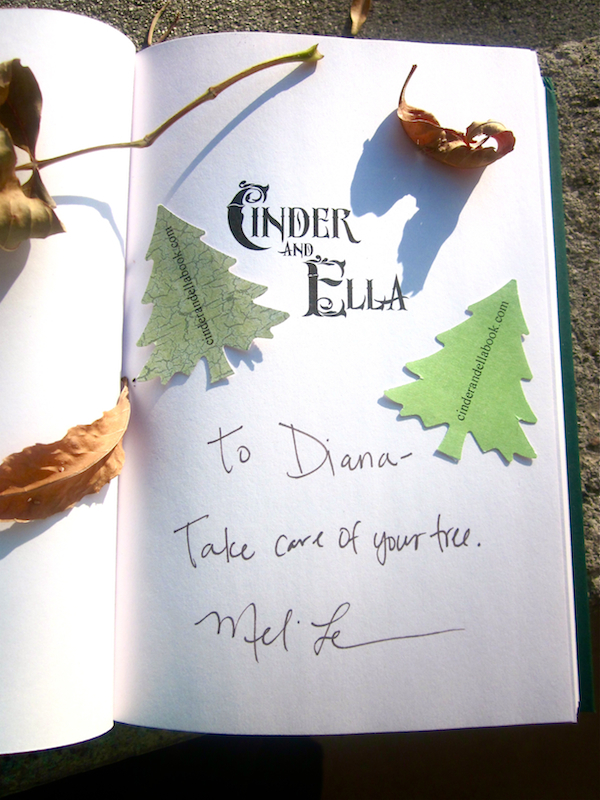 Melissa has created a unique mythology for this tale focused on trees. It's a very interesting grounding element that is reminiscent of the old Grimm version and is also seen in various forms in other cultures, even here in America. Are you familiar with planting a tree when someone is born? Or tree signs? I'm a fig. What are you? Cinder & Ella faintly resembles the classic story of "Cinderella" we are used to but strays in very interesting and original ways. The feel of fairytale is combined with medieval and quest and spirituality. The religious theme is more centered toward the end of the book, but isn't necessarily so obvious to everyone. The spiritual-ness is simply part of the mythology Melissa has created for the story. Character-wise, Melissa has created many memorable personalities that I want to see again. And one we as a book club asked her to kill. Didn't we? That's how I remember it. Melissa did say she has a sequel in the works which is great because the world and characters in Cinder & Ella seem destined for more. Ella loves deer meat, or venison. In the story she has venison a couple of times, cooked over a fire outside. The trick to cooking deer meat is to roast it for a long time at a low-ish temperature. As for other foods in Cinder & Ella, there is mention of chicken soup and apples, or rather, an apple tree. 1 lg. deer roast about 2 to 4 lbs. Place deer roast in roasting bag, add onion sliced. Place pats of butter on top of roast & season w/ salt & pepper. Add 1 cup of water to bag & tie closed. Place in baking pan & put in oven for 4 hours @ 300 degrees.